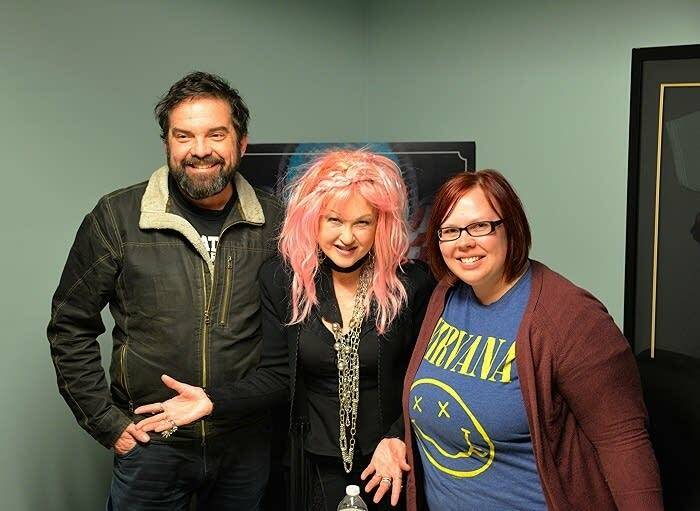 Nearly two months ago, we (the Oake & Riley in the Morning team) were lucky enough to sit down and interview Cyndi Lauper. We were interested in hearing about Lauper's forthcoming release, Detour, an unlikely collection of country covers. Jill was especially excited to be in the room with one of her idols, Cyndi Lauper. The press interviews were happening in the basement of The Electric Fetus, and arrived early, just to ramp up the anticipation factor; Lauper's impending arrival was making us all rather giddy. Cyndi Lauper was a delight from the moment she walked into the room, still a total rockstar with a New York attitude. Her hair (or wig) was cotton candy pink, her accessories were amazing and her makeup on fleek. Producer Anna Reed asked Lauper's permission to take a video of the conversation, to which Lauper answered "Not from that f&%@ing angle, you're not … I don't need that camera up my nose." We all had a nervous laugh while Lauper proceeded to get up and help Anna find just the fight angle and spot to place her smartphone for the recording. When we finally rolled tape, we really only had to ask one question and she just started telling stories and didn't stop for 20 minutes. 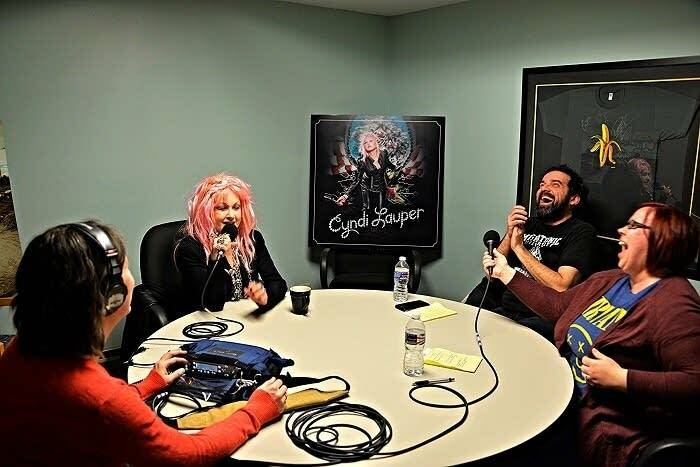 We didn't get a word in edgewise, but we weren't about to interrupt Cyndi Lauper while she was telling us the story of why and how she came to record a country album. As unlikely as it might seem for Lauper to do a country record, she told us that Detour was no more of a stretch than anything she's worked on in the past 20 years. Recorded in Nashville, Detour features Lauper's distinctive voice, and she spared no expense bringing in the big names to guest on this album: Allison Krauss, Vince Gill, Emmylou Harris, Jewel (for her yodeling skills) and Willie Nelson (whom she described as being like Yoda). Some of the legendary artists whose songs Lauper covers include Patsy Cline, Conway Twitty, Loretta Lynn, Skeeter Davis and Wanda Jackson. We had heard Cyndi Lauper had a bit of a reputation for being a diva, but she could not have been more gracious, funny and generous with her time. After the interview she signed Jill's copy of She's So Unusual, took some photos (and selfies) with us and she even commented on how she liked 89.3 The Current, calling it "nice, comfy and something different." Then Jill passed out. The end.